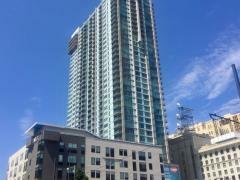 Blog with news about the Denver CO high-rise condominium and loft market. There are currently 38 blog entries related to this category. Do you have a child attending college in Denver? Here's where to buy. Monday, February 11th, 2019 at 2:35pm. There are a lot of moving parts that come with sending your kid to college and after determining which school they'll attend, one of the next big decisions is choosing where they'll live. Things to consider in order to create the best environment for your child while they are attending school in Denver involve making sure there's good physical access to the campus, community, and the resources the city has to offer. Are You Considering All of Your Options? Thursday, February 7th, 2019 at 2:14pm. Downtown Denver is booming and people are buying up hot properties quickly, but there are still some hidden treasures in the market and the centrally located West Colfax/Sloan's Lake neighborhood is one of those treasures. One of the nice things about West Colfax is the connection to nature. Sloan's Lake is one of the largest bodies of water in the city, with plenty of opportunities for fishing, recreation, or just plain old relaxation. There's also Lakewood Gulch, which forms the southern border of the neighborhood. Major projects transformed it over the course of several years into an accessible green space, complete with a multi-use trail. Thursday, April 6th, 2017 at 11:57am. Tuesday, March 21st, 2017 at 12:32pm. Thursday, January 19th, 2017 at 11:52am. This LoDo loft with 15+foot ceiling features an impressive open concept living area perfect for entertaining. Exposed brick and timber, large walls perfect for displaying artwork, and a fabulous bookcase exude old-world charm. Relax after a hectic day in the city in your private sauna and jet tub. Enjoy the convenience of a heated garage, key less entry, main level unit, five guest parking spaces, and maintenance-free condo living! Enjoy everything the city has to offer within walking distance from shops, restaurants, bars, Union Station, Museum of Contemporary Art, the Pepsi Center, and the Auraria campus. Wednesday, January 11th, 2017 at 1:48pm. Monday, October 10th, 2016 at 9:49am. Live your life on the park! This unit has a big balcony looking out over Cheesman Park! Location, location, location. This is it. Features an updated bathroom, updated kitchen with slab granite and stainless steel appliances, and an open floor plan. Indoor amenities include pool, sauna, work-out area, community room, storage unit, shared laundry, security entrance, and on-site building management. There is a reserved parking space right outside the stairway door. Perfect Location to Walk To Everything! Friday, July 29th, 2016 at 1:34pm. Monday, June 27th, 2016 at 2:34pm. Thursday, June 23rd, 2016 at 9:25am.